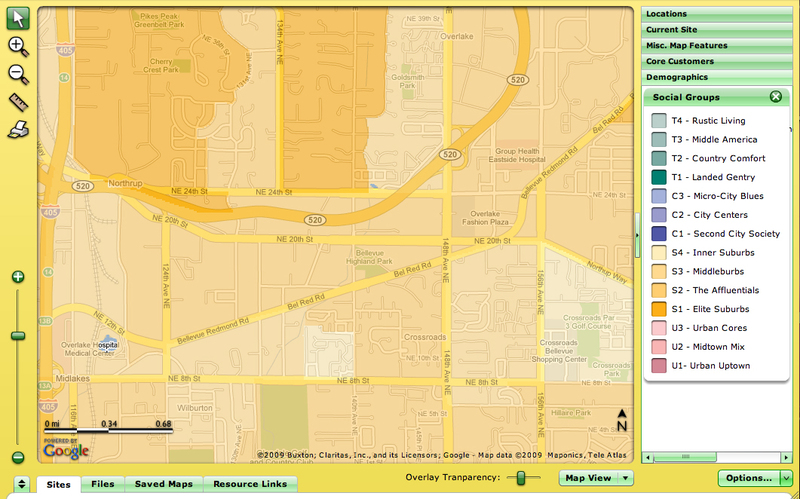 BRINC: The Bel-Red Incubator was and is a proposal for a catalyst real estate development project sited in the heart of the future business district of Bel-Red Corridor in Bellevue, Washington. Bel-Red’s newly zoned (900 plus acres) district offers a perfect frontier for creative and entrepreneurial settlements, new retail and residential communities. BRINC, a potential first “bold stroke” in this rezoned corridor, could ignite more development and provide a strategic link to the creative and knowledge-based industries, now anchored in and around Microsoft Corporate campus, as well as to the downtown Bellevue business core. This project was developed in 2009 by the BRINC Development Team as part of the UW’s Commercial Real Estate Program. Team members included Architect, Kate Wells Driscoll, Real Estate Portfolio Advisor, William Riley, Commercial Loan Analyst, Heidi Stacy Ehrbar and myself, Cultural Entrepreneur and Arts Commissioner. Our mission was to provide an innovation-focused market strategy and to develop a catalyst real estate asset targeted toward the creative and knowledge-based industries on the Eastside. 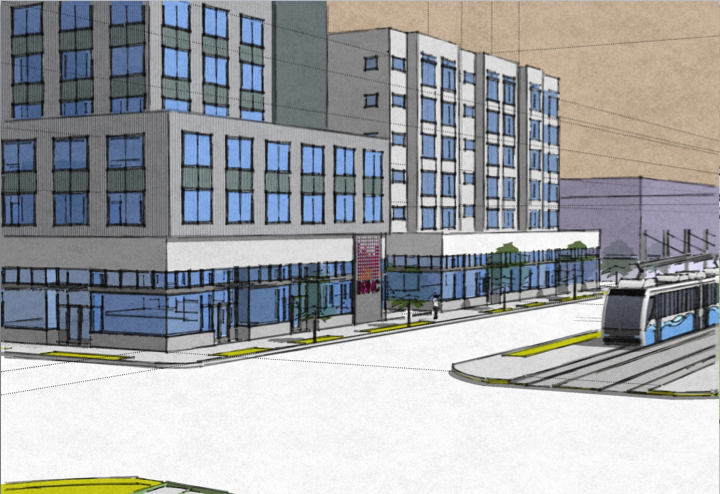 This development closely aligns with the City of Bellevue’s planning and transportation plan to foster environmental, economic and cultural interests in the area. Our team studied the City of Bellevue’s innovative redevelopment plan for the Corridor, a long-term vision with an economically vital future. We were guided by UWCRE program lead, Jim Reinhardsen (Heartland), along with a formidable team of mentors which included: Steve Walker (Heartland LLC), Charlie Hafenbrack (GLY Construction), Lisa Picard (Muse), Jim Friesz and Kirsten Murray (Olson Kundig Architects). And, Dana Behar (HAL Real Estate Investments) was a member of our Equity Review Panel…(THANK YOU, Mentors!). 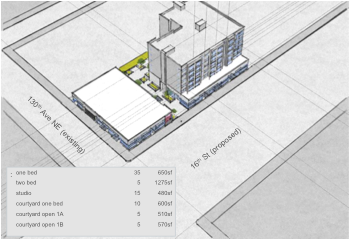 Our development strategy was to maximize the potential of our site’s new RC-1 zoning and build a new, transit-oriented, mixed use development timed to coincide with the completion of adjacent Sound Transit’s Eastlink light rail station…which, for our proposal purposes, we named: THE BRINC LINK. 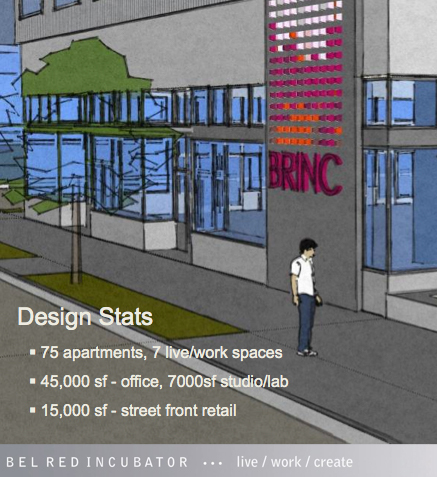 BRINC: The Bel-Red Incubator and Lofts is a 132,000sf arts/technology incubator facility, providing workforce housing (75 apts, 7 live/work lofts, 45,000 sf office, 7000sf sound recording studios/motion capture lab, 15,000sf of street front retail and cultural amenities) is targeted toward the growing fields of digital, interactive media and game technology on the Eastside. It is timed coincide with adjacent EastLink light rail system and is closely aligned with City’s forward thinking urban planning, transportation and cultural development plans. 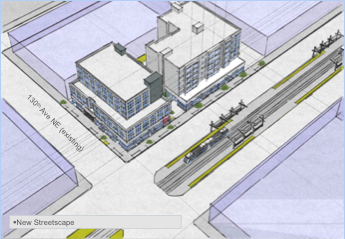 Throughout the development of the proposal, our team met with City of Bellevue planners, local business owners, regional economic development leaders, real estate professionals as well as Sound Transit planning staff to inform our development process. We reached out to artists and arts associated businesses to identify the cultural root system presently occupying the Corridor. They include Donn Bennett Drum Studio, Pacific Northwest Ballet School, Francia Russell Performing Arts Center, Mike Lull Guitar Works, Evolution Studios, Northwest Guitars, American Music and Mills Music. 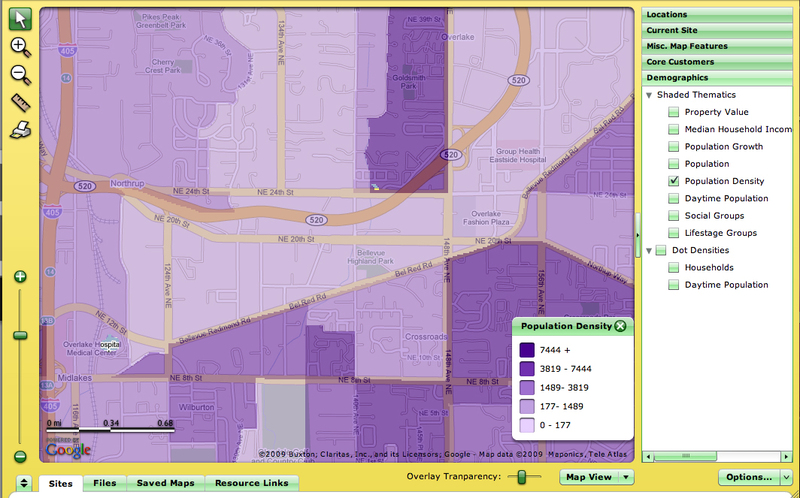 Useful economic, population, land use, and income data gathered from city and regional demographic studies contributed to our informed perspective. In addition, we partnered with social researcher, Shelly Farnham of Wagglelabs to conduct a targeted regional questionnaire study gathered useful data about the current uses of industrial/office space, technology, existing studio and work spaces, housing needs and preferences to advance creative and technical innovation goals. See full report: Art and Technology Incubation for Technology Creatives in the Northwest: A Questionnaire Study. Our target community of technology creatives was most interested in knowledge sharing, collaborative opportunities and incubation space. We researched other inspiring creative incubator and fablab models including Eyebeam, MIT Media Lab, Carnegie Mellon Center for Creative Inquiry, UW DX Arts Lab and others. 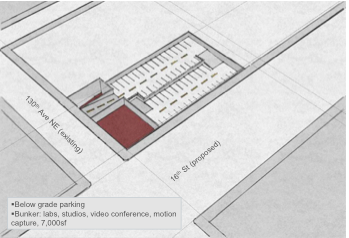 Our study results identified a regional need for flexible office space, creative live/work housing and art/tech/media incubation resources and greatly informed the design and programming of our mixed-use development. As part of our UW Commercial Real Estate Program, we presented our completed “Real Estate Strategy and Analysis for a Mixed Use Redevelopment in the Bel-Red Corridor”, complete with financial models, market rationale, building design, funding strategy, zoning analysis, risk assessment and exit strategy, to a distinguished review panel of lenders for their feedback. And had they granted us our loan, we would be breaking ground in the Spring of 2014…with construction complete in 24 months. 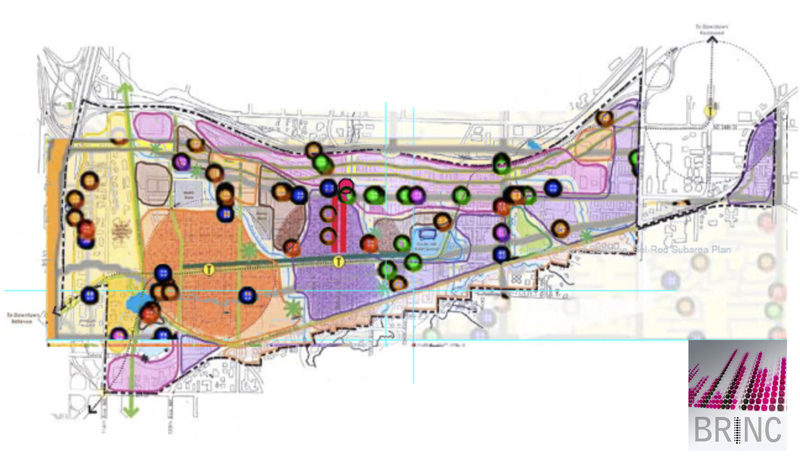 This was one amazing project…an ambitious initiative to leverage the emerging opportunities in the Bel-Red Corridor by acquiring an existing, income producing property in the “sweet spot” of the future business district. Our phased, mixed use development, is well positioned for future redevelopment and will act as a catalyst for neighboring properties and spur cultural and entrepreneurial business development interests in the area. $6.200,000…that’s the loan amount we asked our distinguished panel of lenders for. 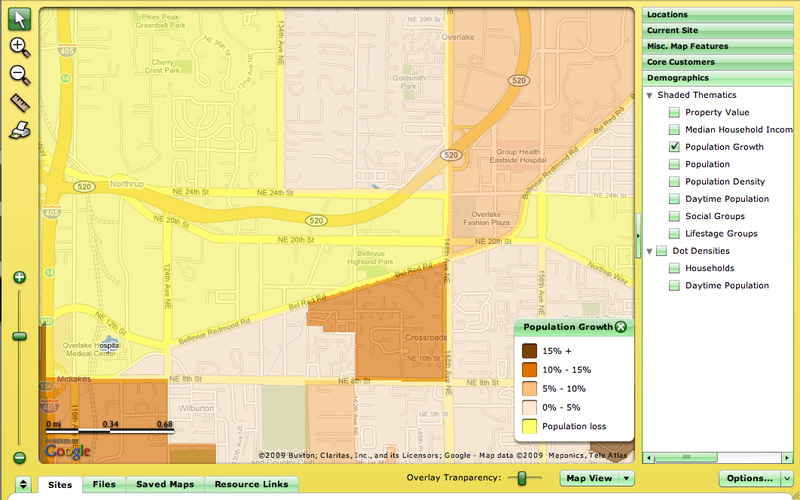 In 2009, that would have covered the purchase of the property and would allow for the development process to begin. The climate is changing everyday…the outlooks is much brighter than it was in 2009 and the transportation plans are becoming a reality. 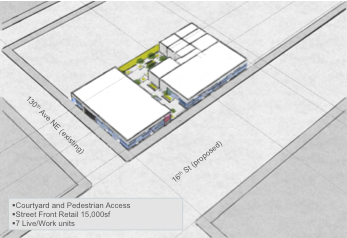 But until that check arrives, we will further “develop” a dialogue with this BRINC blog…one that engages Eastside citizens, city planners and policy makers, devolopers, digital creatives, and others. Together we can explore how sustainable, cultural infrastructure and real estate assets that generate economic value and public benefit are best created in Bellevue, the Eastside communities, the PNW and beyond. Ride the Wave, Name that Station!